"Barking Mad" - Please Read & then "Click"! Discuss anything here as long as it is clean. Having a hard time with your Skoonma, tell us about it here, or discuss the Rugby. Whatever you feel like talking about. Guys, just to remind you of your "Daily Click!". "Give us our Daily Bread". Cowley branch and freeflow,long range tank,dual battery system,home made front and rear bumpers. It's been a while, folks! Family_Dog wrote: It's been a while, folks! Donkey, simple and often misunderstood. We don't stop playing because we grow old, but we grow old because we stop playing! Please do not forget your your "Daily Click!". Yeah, dogs need care as well! Lest we forget... it's a very long weekend. Guys - I dont want to go of the clicking here but just had an idee. Why dont we as Hilux people once a month buy one or two cans of food and take it to one of the animal shalters. I know this sounds corny but I am an animal person they are my kids. Had to put my long loving staffy down last week Friday after 17 years of loving. Still got 3 other kids and a new member to the family 8week old shasha Staffy. I dont know but if anyone is interested lets chat. Life does not consist of the cards you are dealt but in how you play the cards you are dealt! Ciske are we going to use GOMAD as a drop-off point in Brackenfell and you take it to the shelter on our behalf? ANYTIME - we must just decide which shelter we are going to assist or maybe pick a few and then each month support a different one. legend35 wrote: Lekker eet .My hond moet die week aan die slaap gemaak word weens n ongeneeslike siekte.Miskien moet ek vir my n nuwe friend gaan haal .Dan het een darum weer n huis. Moes laas jaar my Boerboel laat uitsit, veearts het gereken sy sal nie nie trek van PE na Pta toe oorleef nie. EVERYONE do the click thing and feed the dogs it is LONG WEEKEND!!!! Guyys, we're slipping. The pooches food bowls are now half than what they were a month ago. Clicked!! just fed by dog now! Vehicle: '93 hilux 4x4 d/c (2.2).31"bfg muds,long range fuel tank,tjm front bumper,canvas canopy,duel battery system,tnt branch+ss exhaust. Nog n "bakkie" kos. . I've been trying to access the site this afternoon, but seems the site is out of order, can't log in. Don't want my doggy pals to miss out on their meals, I will try later again. Het sopas weer ge"click-click". Voel al soos daai advertensie :"Aaaa mr Mouse, we meet again..."
LOS MAAR DIE KAAS, GENIET DIT NET !! Thys ek stem saam met jou!!! Cassie & Pieter fokus nou!! Just fed my doggy for today! Also try to click everyday! Click on the button on the right of the header of the forum.. fanks Cassie..
Guys, please don't forget your daily "click" - refer the Barking Mad icon in blue on top right of the forum page. 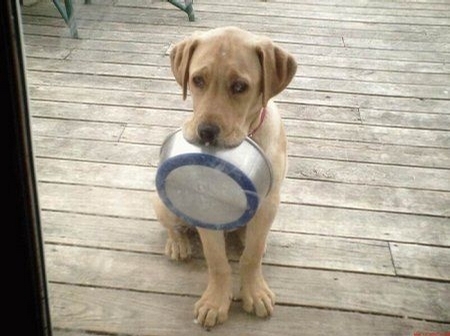 It's free: One click = one bowl of food for our furry pals.